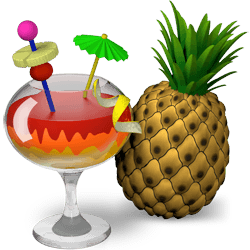 Handbrake is a free and open source tool for converting video from nearly any format to a selection of modern, widely supported codecs. It was originally developed by Eric “titer” Petit in 2003 to make ripping a film from a DVD to a data storage device easier. Since then, it has undergone many changes and revisions. The official download link will point Ubuntu users to the launchpad PPA, which only supports Ubuntu 13.04 Raring and earlier. I’ve tested the raring’s build in Ubuntu 14.04 Trusty and fortunately it works! Handbrake now is available in the default Ubuntu repositories since 14.04 trusty, so all we need to do is update the system and then search for and install the package in Ubuntu Software Center. When done, open the video transcoder from Unity Dash and enjoy! Why install a package 13. 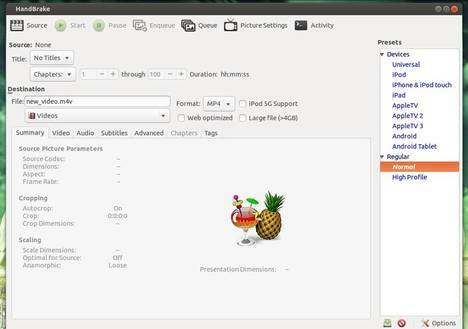 04 when Handbrake 0.99 is available in the Ubuntu Software Center 14.04? After install from default repository only .mkv output container is available. How can I enable .M4V ? Seems like they had to patch the MP4 container stuff out of the product. Now Handbrake feels like a crippled version under Ubuntu 14.04. You pretty much have to use the PPA to get a working version of HandBrake. The version in universe is broken. So ..as a Linux Noob how do i get it to output MP4? The snapshots version is advertised to not be stable. Any other ways to get MP4 back? I tried anyway, and it worked fine. So the DVD is copyrighted. I then installed decss and after that, it worked. I installed this version of Handbrake. The Windows are black with grey text which is very hard to read. Is there a way to fix this? Thankyou. I actually found another way to disable the overlay scroll bars. gsettings set com.canonical.desktop.interface scrollbar-mode normal. Anyway it fixed the problem, so thankyou for your solution. yep, the gsettings command disables the overlay scroll bars for whole system. Edit the .desktop file disables it for Handbrake only. In preferences untick use ipod/itunes friendly format for mp4. Once you do this the m4v on the file name changes to mp4. Tick to turn the file back to m4v from mp4.